The Hindustan University will release the HITSEEE 2019 admit card for all the candidates who have applied for the exam. Only those who have filled and submitted the application form correctly will be able to download the HITSEEE 2019 admit card in the online mode. The admit card will be released on 24th April 2019 and must be carried to the exam center on the day of the HITSEEE 2019 exam. Candidates will be able to avail the HITSEEE admit card 2019 in the online mode on the official website only. There is no other mode to avail the admit card through post. How to download HITSEEE 2019 Admit Card? 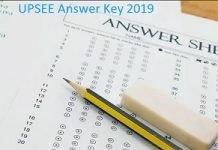 If you are going to download the admit card of HITSEEE 2019, and want to know the correct procedure, check the steps given below. Visit the official website of Hindustan University. Click on the admit card link provided here. Enter the exam application number, date of birth and the passcode given. Click on submit and the admit card will be displayed on the screen. Candidates can check all the important dates of the admit card of HITSEEE 2019 Exam releasing in the table given below. Candidates must carry the following documents to the exam center on the day of the exam. Anyone of Photo Id proofs like PAN card, driving license, passport, Aadhar card, or driving license. There is no means to obtain the Admit card offline via post. Candidates must be ready with their application number in order to view their Admit card. Candidates must preserve the admit card till the entire admission procedure is over. No candidate will be allowed to take the HITSEEE 2019 without the admit card. The admit card will carry important details about the exam center, date and time, and information about the candidate along with exam day instructions. It should not be tampered or soiled in any manner on the day of the exam. Any request made by the aspirant to change the exam center printed on the Admit card will not be entertained. If you have any queries do ask us in the comments section below. 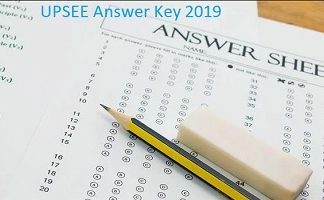 2 How to download HITSEEE 2019 Admit Card?